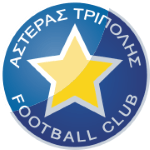 These days, Marc Fernandez Gracia's team Asteras Tripolis comes twelfth place in Super League (Greece) plus first place in group Gr. 6 of Greece Cup (Greece). In July 2018, Spanish forward Marc Fernandez Gracia joined Asteras Tripolis (Greece), whom he is still playing for. He had 27 match appearances this season. He is four years older than his team's average age, as he was born on 29.04.1990. Marc Fernandez Gracia stands 179cm high and thus is about the same height as his team on average. Considering he weighs around 165.35lb, Marc Fernandez Gracia is approximately as heavy as the average player of Asteras Tripolis. His best season was Super League 18/19 (Greece), because in this year he had his highest success in terms of both match presence and goals. 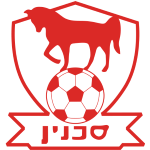 Five months was the stubbiest period that he was contracted to a team (Bnei Sakhnin FC from Israel) Marc Fernandez Gracia is playing as forward in Asteras Tripolis together with Giannis Bastianos, Nikos Kaltsas, Anastasios Douvikas, Alexandros Tereziou, Christos Albanis, Michalis Manias, Giannis Kotsiras, Christos Aravidis and Kosmas Tsilianidis. His record stay with a club is RCD Mallorca (Spain) with one year and 5 months. To date, collectively he holds four penalties. Lately, he seems to be more quiet since less penalties were given to him than usually. So far this season, Marc Fernandez Gracia tied 50% in Super League and won 100% of Asteras Tripolis's matches in Greece Cup. They also managed to win 3 fixtures in a row in Greece Cup. While being substituted more in than out this season, the contrary occured the year before. Moreover, he shows 22 out and 40 in substitutions in total. From his professional start until now, he has performed in 66 matches in total and hindermost appeared ten days ago. At Asteras Tripolis, Marc Fernandez Gracia is the owner of jersey number 7. 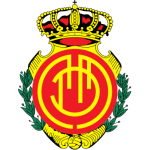 He managed to attract a lot of good feedback after his performance at UCAM Murcia, the team he was subjected to before joining Asteras Tripolis.